Hopscotch Design Festival gathers prominent thinkers, makers, and storytellers to share ideas and foster conversations about how design is shaping the future. It features national and local presenters who work across graphic design, urban planning, user experience design, technology, architecture, music, food, film, and more. 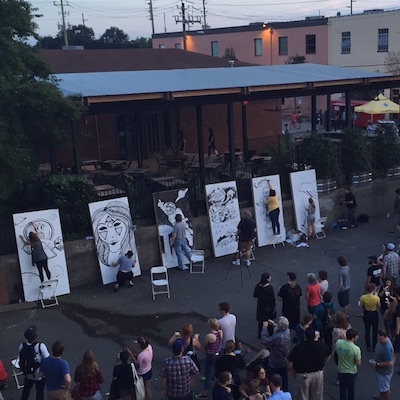 Hopscotch Design is a two-day festival of interactive sessions, workshops, and parties, taking place in multiple venues across downtown Raleigh.